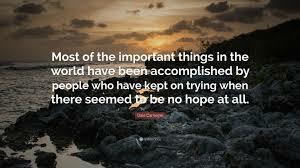 Perseverance, without it we would be much less than we are. Some are born with more than others but none the less each of us is blessed with an amount. Our willingness to be free to choose despite our lack of consciousness grants us the power of persistence, these will be the lessons that will teach us the most. Once we become aware of what we know we need to change, it is then that our tenacity will overrule against all odds. Our Soul has a staying power able to defeat a thousand wars, we are born as a human with a purpose to fulfill and it will be our determination to this motive which will see us to the end. Regardless of our obstacles, which in fact are often graceful obstructions gifted to us from the Universe, we as human beings have the power to overcome any barrier, problem or hindrance. Every boulder that gets in our way we have the potential to do something about, perseverance is there for us if it is something we intuitively want to go to battle for. There is so much of our living existence we all too often suppress, we float in our bubble of comfort created in a zone less than small. Our ability to breathe in life then becomes obstructed, there is no one but our self to blame, our work here is to conquer the fears we inherit, they were never ours, to begin with. Our spirit asks us to persevere and so we must, what is it in your life that needs attention, where are you neglecting your Self? The Ego enjoys tenacity when things go his way, we know full well how determined our mind can be with its convincing ways, but the truth is, the gold is in what drives you with persistence from the Soul of who you are. Never give up on what you dream about, never let an ambition die or fade away, you are everything you ever wanted to be.